New version of alternative firmware for ACXSynth MIDI2CV has been released. Now you can limit polyphony in the range of 2—4 voices in Poly4 mode. Each press of the F1 key scrolls through three available values of this parameter. 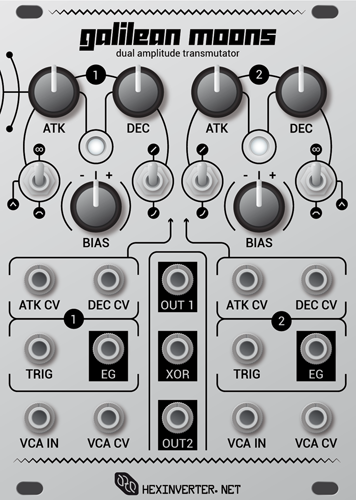 Available voices are mapped to corresponding number of CV/Gate outputs starting from CV1 / GATE1. This entry was posted in Unsorted on 25 Sep 2013 by rpocc. 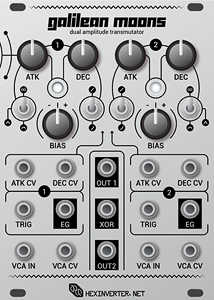 hexinverter.net announced new Eurorack module, Galilean Moons. – Perfect for synthesizing voltage controlled percussion and other effects! This entry was posted in Announces and tagged eurorack, hexinverter.net, Announces, modules, percussion on 17 Sep 2013 by rpocc. 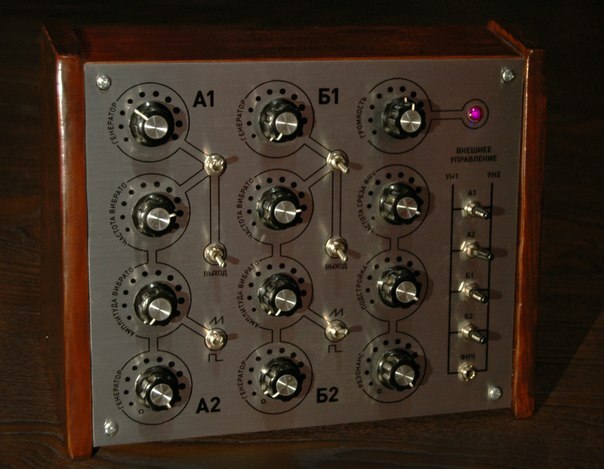 My colleague, Alexander Plotnikov has designed the cyrillic panel for MFOS Weird Sound Generator. This entry was posted in Pictures and tagged MFOS, weird sound generator, modules, desktop modules, DIY on 11 Sep 2013 by rpocc.